What a change! Just in my last post, I bragged about the fact that I do not get enough time to write blog on week days. Surprisingly today I got a chance to pen (key) down this post. 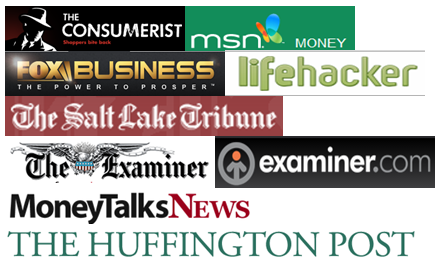 This post is about garage sale for sure, but not about how you can make maximum profit out it, 100’s of writers covered the topic with 1000’s of articles already. You, yourself must have read 10’s of those. There’s nothing I can write which they didn’t already. I would cover another useful aspect of garage sale today. We have internal discussion board at my work, where yesterday the hot discussion was about garage sales and how we can leverage it to impart valuable lessons of money to our kids. The decision to make it my next blog post subject was no brainer. Here I only need to present the ideas discussed today. I will change the names and pick four of the most motivating stories. Betty’s daughter Kyle, a 6-year-old school kid had a lemonade stall for 2 hours while their garage sale was on. Kayla earned $7.5 at $1 per glass rate, after paying for the ice cream from a visiting ice cream truck and paying for a toy from a neighboring garage sale. Kyle learned that if she has valuable items which people like, she will get paid for it. If she earns on her own she gets to enjoy life. If she keeps some portion of the money, she can enjoy in the future with the remaining part. All very valuable lessons. Ricks’s daughters Martha and Gabriela, 5th and 7th graders, helped their parents organize the items which belonged to them. Their job was to man the toys and books table, and most importantly they were tasked to note down buyers answers about why the item is being bought. It so happened that on one particular occasion, upon hearing the buyers point of view on a specific hand craft, Martha refused to sell it further. Situation was handled by Rick. The most important lessons they learned is ‘Our trash is somebody’s treasure’. The early we learn about the value of a good, the better consumer we would be. We will waste a lot less, making this world free of clutter, trash and unwanted expensive items. Jeffrey, Sean’s son of 12, managed his own table. He sold off his used clothes, toys and books, and a bicycle which he was convinced to sell after much appreciation, even though he had a new bigger bike. His parents didn’t succeed to persuade him to part off with video games though. He set up the price tags on each individual items, he set the initial price tags on them,later corrected by Sean. All monetary transaction were hadnled by him. He was even required to keep a spread sheet of the items sold along with initial and selling prices. The lesson Jeffrey had with this is how he can transact with money, how to keep accurate count of the bills and the coins. He learned book-keeping up to some extent as well. He did all the bargaining with buyers himself, which earned him invaluable lessons on the power and flexibility of pricing. Josue, 14-year-old son of Cynthia Was given a herculean task by his father to clean up their huge DVD collection. He was offered to keep half of the sales proceed only if, he were able to successfully sell all the movies and albums. Although at the end of the day he didn’t succeed, but there were merely a couple of albums left. Which allowed Josue to keep 1/3 of the proceed as an award from his parents. Josue learned that if right pitch is behind, things can be sold off in market. If there is incentive and more eagerness. Perhaps Josue will now analyze what could have been done better to sell off all the DVDs? There were various other aspects discussed over there on the board on this subject. 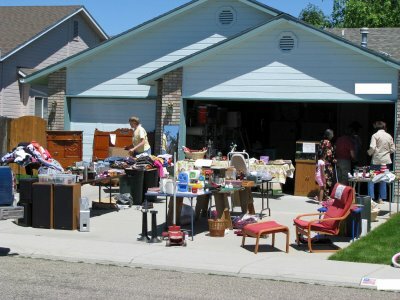 People stated attending garage sales with children offer similar learning opportunities, they learn about bargaining, specially if you want to buy an item for your kid, take him/her to store to get the price tag, then visit a nearby garage sales to search for the item, if you find, bring the price difference to your child’s attention. Kids get perplexed when they see a brand new or ‘almost a brand new’ item in garage sales, if you come across this in future, let your child ask the sellers on the reasons the items are on sale. Depending on the answer, you can teach your child about the importance of spending money wisely, explain to your kid that the seller ideally shouldn’t have bought the item from store in the first place. This is my opinion, if your kid’s piggy bank has $20 and she wants to buy a Barbie, make her options known, whether to buy a new Barbie from store or to buy used Barbie from a sale with various other toys, at the same price. If possible take her to sale and show her what all she can have instead of that brand new Barbie from store. Replace Barbie with any thing applicable to your kid and this applies to all parents. Do let me know how you feel about this write-up, which has real life personal experiences of my colleagues. Your comments are greatly awaited everyday on every post of mine, don’t let me down! For now while trying for our first child, let me make a note of the things I could make my kid aware off about money. My family and I had a garage sale just last weekend. My daughter also had a lemonade/bottled water stand on the first day where she got to keep the profits. We also told the kids that they should go through all their toys and make a pile of things they didn’t want anymore. They would get the proceeds from anything of theirs that sold. My wife and I got to see a bunch of unused toys leave our home (and thus de-clutter it a bit). Our kids made some money they could use to buy something new. It was a perfect win-win situation! Thanks Travis! As you promised on Twitter this morning, I was expecting your comments. All best in life for your kids! Now it’s time to check out your blog! I feel so much happier now I underatsnd all this. Thanks! Although I’m become less and less convinced of the benefits of holding yard sales (instead of going to them) the benefits of having our kinds have their own table weigh in quite a bit on the other side of the scale. Our oldest has even managed to turn a profit on some things he’s bought (with his own money) at other yard sales. Mostly though, they’re clearing out and getting rid of “stuff”. Very interesting discussion. Not only do kids need to be encouraged to learn the value of money and the dynamics of earning what one gets to use, but also learning to organize, value, strategize, and save. Gone are the days when one could pout and says, just as you suggest, dress’t and press’t, Jane and Michael will be at your side. In today’s challenging world, it is imperative that the correct teaching about wealth, and the value of labor be impressed upon children early, lest they fall into the trap that many of the present generation find themselves in. Subhorup, that was surely a queen’s English 🙂 Thanks for the value comment.